Christian mysticism refers to the development of mystical practices and theory within Christianity. Mysticism is not so much a doctrine as a method of thought. It has often been connected to mystical theology, especially in the Roman Catholic and Orthodox Christianity (both the Eastern Orthodox and Oriental Orthodox traditions). "Mysticism" is derived from the Greek μυω, meaning "to conceal", and its derivative μυστικός, mystikos, meaning 'an initiate'. In the Hellenistic world, a "mystikos" was an initiate of a mystery religion. 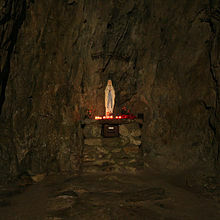 "Mystical" referred to secret religious rituals and use of the word lacked any direct references to the transcendental. In early Christianity the term mystikos referred to three dimensions, which soon became intertwined, namely the biblical, the liturgical and the spiritual or contemplative. The biblical dimension refers to "hidden" or allegorical interpretations of Scriptures. The liturgical dimension refers to the liturgical mystery of the Eucharist, the presence of Christ at the Eucharist. The third dimension is the contemplative or experiential knowledge of God. [T]hat part, or element, of Christian belief and practice that concerns the preparation for, the consciousness of, and the effect of [...] a direct and transformative presence of God. William James popularized the use of the term "religious experience" in his 1902 book The Varieties of Religious Experience. It has also influenced the understanding of mysticism as a distinctive experience which supplies knowledge. Other critics[which?] point out that the stress on "experience" is accompanied by favoring the atomic individual, instead of the shared life on the community. It also fails to distinguish between episodic experience, and mysticism as a process that is embedded in a total religious matrix of liturgy, scripture, worship, virtues, theology, rituals and practices. Transformation has particular importance in the theology of Origen. Mystical experience is not simply a matter between the mystic and God, but is often shaped by cultural issues. For instance, Caroline Bynum has shown how, in the late Middle Ages, miracles attending the taking of the Eucharist were not simply symbolic of the Passion story, but served as vindication of the mystic's theological orthodoxy by proving that the mystic had not fallen prey to heretical ideas, such as the Cathar rejection of the material world as evil, contrary to orthodox teaching that God took on human flesh and remained sinless. Thus, the nature of mystical experience could be tailored to the particular cultural and theological issues of the time. The idea of mystical realities has been widely held in Christianity since the second century AD, referring not simply to spiritual practices, but also to the belief that their rituals and even their scriptures have hidden ("mystical") meanings. In subsequent centuries, especially as Christian apologetics began to use Greek philosophy to explain Christian ideas, Neoplatonism became an influence on Christian mystical thought and practice via such authors as Augustine of Hippo and Origen. Jewish spirituality in the period before Jesus was highly corporate and public, based mostly on the worship services of the synagogues, which included the reading and interpretation of the Hebrew Scriptures and the recitation of prayers, and on the major festivals. Thus, private spirituality was strongly influenced by the liturgies and by the scriptures (e.g., the use of the Psalms for prayer), and individual prayers often recalled historical events just as much as they recalled their own immediate needs. poverty, an ascetic value, based on the apocalyptic expectation of God's impending arrival, that characterized the Jewish people's reaction to being oppressed by a series of foreign empires. In Christian mysticism, Shekhinah became mystery, Da'at became gnosis, and poverty became an important component of monasticism. The Alexandrian contribution to Christian mysticism centers on Origen and Clement of Alexandria. Clement was an early Christian humanist who argued that reason is the most important aspect of human existence and that gnosis (not something we can attain by ourselves, but the gift of Christ) helps us find the spiritual realities that are hidden behind the natural world and within the scriptures. Given the importance of reason, Clement stresses apatheia as a reasonable ordering of our passions in order to live within God's love, which is seen as a form of truth. 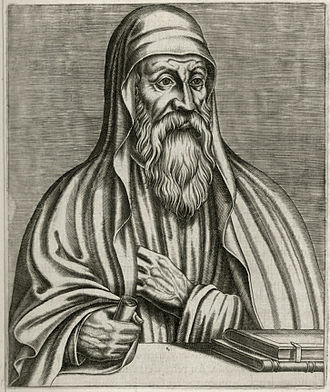 Origen, who had a lasting influence on Eastern Christian thought, further develops the idea that the spiritual realities can be found through allegorical readings of the scriptures (along the lines of Jewish aggadah tradition), but he focuses his attention on the Cross and on the importance of imitating Christ through the Cross, especially through spiritual combat and asceticism. Origen stresses the importance of combining intellect and virtue (theoria and praxis) in our spiritual exercises, drawing on the image of Moses and Aaron leading the Israelites through the wilderness, and he describes our union with God as the marriage of our souls with Christ the Logos, using the wedding imagery from the Song of Songs. Alexandrian mysticism developed alongside Hermeticism and Neoplatonism and therefore share some of the same ideas, images, etc. in spite of their differences. Philo of Alexandria was a Jewish Hellenistic philosopher who was important for connecting the Hebrew Scriptures to Greek thought, and thereby to Greek Christians, who struggled to understand their connection to Jewish history. In particular, Philo taught that allegorical interpretations of the Hebrew Scriptures provides access to the real meanings of the texts. Philo also taught the need to bring together the contemplative focus of the Stoics and Essenes with the active lives of virtue and community worship found in Platonism and the Therapeutae. Using terms reminiscent of the Platonists, Philo described the intellectual component of faith as a sort of spiritual ecstasy in which our nous (mind) is suspended and God's Spirit takes its place. Philo's ideas influenced the Alexandrian Christians, Clement and Origen and through them, Gregory of Nyssa. The Christian scriptures, insofar as they are the founding narrative of the Christian church, provide many key stories and concepts that become important for Christian mystics in all later generations: practices such as the Eucharist, baptism and the Lord's Prayer all become activities that take on importance for both their ritual and symbolic values. 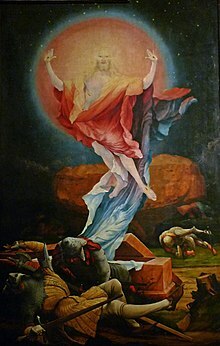 Other scriptural narratives present scenes that become the focus of meditation: the Crucifixion of Jesus and his appearances after his Resurrection are two of the most central to Christian theology; but Jesus' conception, in which the Holy Spirit overshadows Mary, and his Transfiguration, in which he is briefly revealed in his heavenly glory, also become important images for meditation. Moreover, many of the Christian texts build on Jewish spiritual foundations, such as chokhmah, shekhinah. But different writers present different images and ideas. 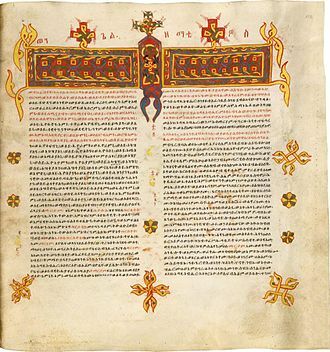 The Synoptic Gospels (in spite of their many differences) introduce several important ideas, two of which are related to Greco-Judaic notions of knowledge/gnosis by virtue of being mental acts: purity of heart, in which we will to see in God's light; and repentance, which involves allowing God to judge and then transform us. Another key idea presented by the Synoptics is the desert, which is used as a metaphor for the place where we meet God in the poverty of our spirit. The Gospel of John focuses on God's glory in his use of light imagery and in his presentation of the Cross as a moment of exaltation; he also sees the Cross as the example of agape love, a love which is not so much an emotion as a willingness to serve and care for others. But in stressing love, John shifts the goal of spiritual growth away from knowledge/gnosis, which he presents more in terms of Stoic ideas about the role of reason as being the underlying principle of the universe and as the spiritual principle within all people. Although John does not follow up on the Stoic notion that this principle makes union with the divine possible for humanity, it is an idea that later Christian writers develop. Later generations will also shift back and forth between whether to follow the Synoptics in stressing knowledge or John in stressing love. In his letters, Paul also focuses on mental activities, but not in the same way as the Synoptics, which equate renewing the mind with repentance. Instead, Paul sees the renewal of our minds as happening as we contemplate what Jesus did on the Cross, which then opens us to grace and to the movement of the Holy Spirit into our hearts. Like John, Paul is less interested in knowledge, preferring to emphasize the hiddenness, the "mystery" of God's plan as revealed through Christ. But Paul's discussion of the Cross differs from John's in being less about how it reveals God's glory and more about how it becomes the stumbling block that turns our minds back to God. Paul also describes the Christian life as that of an athlete, demanding practice and training for the sake of the prize; later writers will see in this image a call to ascetical practices. The texts attributed to the Apostolic Fathers, the earliest post-Biblical texts we have, share several key themes, particularly the call to unity in the face of internal divisions and perceptions of persecution, the reality of the charisms, especially prophecy, visions and Christian gnosis, which is understood as "a gift of the Holy Spirit that enables us to know Christ" through meditating on the scriptures and on the Cross of Christ. (This understanding of gnosis is not the same as that developed by the Gnostics, who focused on esoteric knowledge that is available only to a few people but that allows them to free themselves from the evil world.) These authors also discuss the notion of the "two ways", that is, the way of life and the way of death; this idea has biblical roots, being found in both the Sermon on the Mount and the Torah. The two ways are then related to the notion of purity of heart, which is developed by contrasting it against the divided or duplicitous heart and by linking it to the need for asceticism, which keeps the heart whole/pure. Purity of heart was especially important given perceptions of martyrdom, which many writers discussed in theological terms, seeing it not as an evil but as an opportunity to truly die for the sake of God—the ultimate example of ascetic practice. Martyrdom could also be seen as symbolic in its connections with the Eucharist and with baptism. Inspired by Christ's teaching and example, men and women withdrew to the deserts of Sketes where, either as solitary individuals or communities, they lived lives of austere simplicity oriented towards contemplative prayer. These communities formed the basis for what later would become known as Christian monasticism. Mysticism is integral to Christian monasticism because the goal of practice for the monastic is union with God. The Eastern church then saw the development of monasticism and the mystical contributions of Gregory of Nyssa, Evagrius Ponticus and Pseudo-Dionysius. 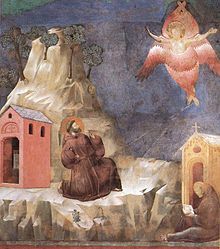 Monasticism, also known as anchoritism (meaning "to withdraw") was seen as an alternative to martyrdom, and was less about escaping the world than about fighting demons (who were thought to live in the desert) and about gaining liberation from our bodily passions in order to be open to the Word of God. Anchorites practiced continuous meditation on the scriptures as a means of climbing the ladder of perfection—a common religious image in the Mediterranean world and one found in Christianity through the story of Jacob's ladder—and sought to fend off the demon of acedia ("un-caring"), a boredom or apathy that prevents us from continuing on in our spiritual training. Anchorites could live in total solitude ("hermits", from the word erēmitēs, "of the desert") or in loose communities ("cenobites", meaning "common life"). Monasticism eventually made its way to the West and was established by the work of John Cassian and Benedict of Nursia. Meanwhile, Western spiritual writing was deeply influenced by the works of such men as Jerome and Augustine of Hippo. The Early Middle Ages in the West includes the work of Gregory the Great and Bede, as well as developments in Celtic Christianity and Anglo-Saxon Christianity, and comes to fulfillment in the work of Johannes Scotus Eriugena and the Carolingian Renaissance. 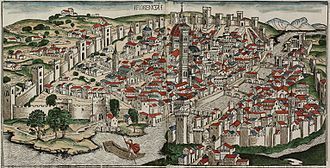 The Late Middle Ages saw the clash between the Dominican and Franciscan schools of thought, which was also a conflict between two different mystical theologies: on the one hand that of Dominic de Guzmán and on the other that of Francis of Assisi, Anthony of Padua, Bonaventure, Jacopone da Todi, Angela of Foligno. Moreover, there was the growth of groups of mystics centered on geographic regions: the Beguines, such as Mechthild of Magdeburg and Hadewijch (among others); the Rhenish-Flemish mystics Meister Eckhart, Johannes Tauler, Henry Suso and John of Ruysbroeck; and the English mystics Richard Rolle, Walter Hilton and Julian of Norwich. This period also saw such individuals as Catherine of Siena and Catherine of Genoa, the Devotio Moderna, and such books as the Theologia Germanica, The Cloud of Unknowing and The Imitation of Christ. The Protestant Reformation downplayed mysticism, although it still produced a fair amount of spiritual literature. Even the most active reformers can be linked to Medieval mystical traditions. Martin Luther, for instance, was a monk who was influenced by the German Dominican mystical tradition of Eckhart and Tauler as well by the Dionysian-influenced Wesenmystik ("essence mysticism") tradition. He also published the Theologia Germanica, which he claimed was the most important book after the Bible and Augustine for teaching him about God, Christ, and humanity. Even John Calvin, who rejected many Medieval ascetic practices and who favored doctrinal knowledge of God over affective experience, has Medieval influences, namely, Jean Gerson and the Devotio moderna, with its emphasis on piety as the method of spiritual growth in which the individual practices dependence on God by imitating Christ and the son-father relationship. Meanwhile, his notion that we can begin to enjoy our eternal salvation through our earthly successes leads in later generations to "a mysticism of consolation". But the Reformation brought about the Counter-Reformation and, with it, a new flowering of mystical literature, often grouped by nationality. The Spanish had Ignatius Loyola, whose Spiritual Exercises were designed to open people to a receptive mode of consciousness in which they can experience God through careful spiritual direction and through understanding how the mind connects to the will and how to weather the experiences of spiritual consolation and desolation; Teresa of Ávila, who used the metaphors of watering a garden and walking through the rooms of a castle to explain how meditation leads to union with God; and John of the Cross, who used a wide range of biblical and spiritual influences both to rewrite the traditional "three ways" of mysticism after the manner of bridal mysticism and to present the two "dark nights": the dark night of the senses and the dark night of the soul, during which the individual renounces everything that might become an obstacle between the soul and God and then experiences the pain of feeling separated from God, unable to carry on normal spiritual exercises, as it encounters the enormous gap between its human nature and God's divine wisdom and light and moves up the 10-step ladder of ascent towards God. Another prominent mystic was Miguel de Molinos, the chief apostle of the religious revival known as Quietism. No breath of suspicion arose against Molinos until 1681, when the Jesuit preacher Paolo Segneri, attacked his views, though without mentioning his name, in his Concordia tra la fatica e la quiete nell' orazione. The matter was referred to the Inquisition. A report got abroad that Molinos had been convicted of moral enormities, as well as of heretical doctrines; and it was seen that he was doomed. On September 3, 1687 he made public profession of his errors, and was sentenced to imprisonment for life. 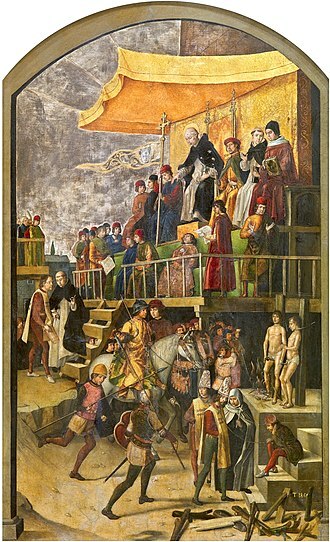 Contemporary Protestants saw in the fate of Molinos nothing more than a persecution by the Jesuits of a wise and enlightened man, who had dared to withstand the petty ceremonialism of the Italian piety of the day. Molinos died in prison in 1696 or 1697. Lorenzo Scupoli, from Otranto in Apulia was an Italian mystic best known for authoring The Spiritual Combat, a key work in Catholic mysticism. French mystics included Francis de Sales, Jeanne Guyon, François Fénelon, Brother Lawrence and Blaise Pascal. The English had a denominational mix, from Catholic Augustine Baker, to Anglicans William Law, John Donne and Lancelot Andrewes, to Puritans Richard Baxter and John Bunyan (The Pilgrim's Progress), to the first "Quaker", George Fox and the first "Methodist", John Wesley, who was well-versed in the continental mystics. An example of "scientific reason lit up by mysticism in the Church of England" is seen in the work of Sir Thomas Browne, a Norwich physician and scientist whose thought often meanders into mystical realms, as in his self-portrait, Religio Medici, and in the "mystical mathematics" of The Garden of Cyrus, whose full running title reads, Or, The Quincuncial Lozenge, or Network Plantations of the ancients, Naturally, Artificially, Mystically considered. Browne's highly original and dense symbolism frequently involves scientific, medical, or optical imagery to illustrate a religious or spiritual truth, often to striking effect, notably in Religio Medici, but also in his posthumous advisory Christian Morals. Browne's latitudinarian Anglicanism, hermetic inclinations, and Montaigne-like self-analysis on the enigmas, idiosyncrasies, and devoutness of his own personality and soul, along with his observations upon the relationship between science and faith, are on display in Religio Medici. His spiritual testament and psychological self-portrait thematically structured upon the Christian virtues of Faith, Hope and Charity, also reveal him as "one of the immortal spirits waiting to introduce the reader to his own unique and intense experience of reality". Though his work is difficult and rarely read, he remains, paradoxically, one of England's perennial, yet first, "scientific" mystics. Similarly well-versed in the mystic tradition was the German Johann Arndt, who, along with the English Puritans, influenced such continental Pietists as Philipp Jakob Spener, Gottfried Arnold, Nicholas Ludwig von Zinzendorf of the Moravians, and the hymnodist Gerhard Tersteegen. Arndt, whose book True Christianity was popular among Protestants, Catholics and Anglicans alike, combined influences from Bernard of Clairvaux, John Tauler and the Devotio moderna into a spirituality that focused its attention away from the theological squabbles of contemporary Lutheranism and onto the development of the new life in the heart and mind of the believer. Arndt influenced Spener, who formed a group known as the collegia pietatis ("college of piety") that stressed the role of spiritual direction among lay-people—a practice with a long tradition going back to Aelred of Rievaulx and known in Spener's own time from the work of Francis de Sales. Pietism as known through Spener's formation of it tended not just to reject the theological debates of the time, but to reject both intellectualism and organized religious practice in favor of a personalized, sentimentalized spirituality. This sentimental, anti-intellectual form of pietism is seen in the thought and teaching of Zinzendorf, founder of the Moravians; but more intellectually rigorous forms of pietism are seen in the teachings of John Wesley, which were themselves influenced by Zinzendorf, and in the teachings of American preachers Jonathan Edwards, who restored to pietism Gerson's focus on obedience and borrowed from early church teachers Origen and Gregory of Nyssa the notion that humans yearn for God, and John Woolman, who combined a mystical view of the world with a deep concern for social issues; like Wesley, Woolman was influenced by Jakob Böhme, William Law and The Imitation of Christ. The combination of pietistic devotion and mystical experiences that are found in Woolman and Wesley are also found in their Dutch contemporary Tersteegen, who brings back the notion of the nous ("mind") as the site of God's interaction with our souls; through the work of the Spirit, our mind is able to intuitively recognize the immediate presence of God in our midst. Eastern Christianity has especially preserved a mystical emphasis in its theology and retains a tradition of mystical prayer dating back to Christianity's beginnings. The practice of Lectio Divina, a form of prayer that centers on scripture reading, was developed in its best-known form in the sixth century, through the work of Benedict of Nursia and Pope Gregory I, and described and promoted more widely in the 12th century by Guigo II. The 9th century saw the development of mystical theology through the introduction of the works of sixth-century theologian Pseudo-Dionysius the Areopagite, such as On Mystical Theology. His discussion of the via negativa was especially influential. As part of the Protestant Reformation, theologians turned away from the traditions developed in the Middle Ages and returned to biblical and early church sources. Accordingly, they were often skeptical of Catholic mystical practices, which seemed to them to downplay the role of grace in redemption and to support the idea that human works can play a role in salvation, and which also seemed to come from post-biblical sources and practices. Thus, Protestant theology developed a strong critical attitude, oftentimes even an animosity towards Christian mysticism. However, Quakers, Anglicans, Methodists, Episcopalians, Lutherans, Local Churches, Pentecostals and Charismatics have in various ways remained open to the idea of mystical experiences. Historically, Christian mysticism has taught that for Christians the major emphasis of mysticism concerns a spiritual transformation of the egoic self, the following of a path designed to produce more fully realized human persons, "created in the Image and Likeness of God" and as such, living in harmonious communion with God, the Church, the rest of the world, and all creation, including oneself. For Christians, this human potential is realized most perfectly in Jesus, precisely because he is both God and human, and is manifested in others through their association with him, whether conscious, as in the case of Christian mystics, or unconscious, with regard to spiritual persons who follow other traditions, such as Gandhi. The Eastern Christian tradition speaks of this transformation in terms of theosis or divinization, perhaps best summed up by an ancient aphorism usually attributed to Athanasius of Alexandria: "God became human so that man might become god." Going back to Evagrius Ponticus, Christian mystics have been described as pursuing a threefold path of purification, illumination and unification, corresponding to body (soma), soul (psyche), and spirit (pneuma). In 869, the 8th Ecumenical Council reduced the image of the human to only body and soul but within mystics a model of three aspects continued. The three aspects later became purgative, illuminative, and unitive in the western churches and prayer of the lips, the mind, the heart in the eastern churches. The first, purification is where aspiring traditionally Christian mystics start. This aspect focuses on discipline, particularly in terms of the human body; thus, it emphasizes prayer at certain times, either alone or with others, and in certain postures, often standing or kneeling. It also emphasizes the other disciplines of fasting and alms-giving, the latter including those activities called "the works of mercy," both spiritual and corporal, such as feeding the hungry and sheltering the homeless. Purification, which grounds Christian spirituality in general, is primarily focused on efforts to, in the words of St. Paul, "put to death the deeds of the flesh by the Holy Spirit" (Romans 8:13). This is considered a result of the Spirit working in the person and is not a result of personal deeds. Also in the words of St. Paul, "...he who began a good work in you will carry it on to completion until the day of Christ Jesus." (Epistle to the Philippians 1:6). The "deeds of the flesh" here include not only external behavior, but also those habits, attitudes, compulsions, addictions, etc. (sometimes called egoic passions) which oppose themselves to true being and living as a Christian not only exteriorly, but interiorly as well. Evelyn Underhill describes purification as an awareness of one's own imperfections and finiteness, followed by self-discipline and mortification. Because of its physical, disciplinary aspect, this phase, as well as the entire Christian spiritual path, is often referred to as "ascetic," a term which is derived from a Greek word which connotes athletic training. Because of this, in ancient Christian literature, prominent mystics are often called "spiritual athletes," an image which is also used several times in the New Testament to describe the Christian life. What is sought here is salvation in the original sense of the word, referring not only to one's eternal fate, but also to healing in all areas of life, including the restoration of spiritual, psychological, and physical health. It remains a paradox of the mystics that the passivity at which they appear to aim is really a state of the most intense activity: more, that where it is wholly absent no great creative action can take place. In it, the superficial self compels itself to be still, in order that it may liberate another more deep-seated power which is, in the ecstasy of the contemplative genius, raised to the highest pitch of efficiency. The third phase, usually called infused or higher contemplation (or Mystical Contemplative Prayer ) in the Western tradition, refers to the experience of oneself as in some way united with God. The experience of union varies, but it is first and foremost always associated with a reuniting with Divine love, the underlying theme being that God, the perfect goodness, is known or experienced at least as much by the heart as by the intellect since, in the words 1 John 4:16: "God is love, and he who abides in love abides in God and God in him." Some approaches to classical mysticism would consider the first two phases as preparatory to the third, explicitly mystical experience, but others state that these three phases overlap and intertwine. Mystical Contemplative Prayer is the blessing for which the Christian mystic hopes. No human effort can produce it. This form of prayer has three characteristics. (a) It is infused (i.e. implanted by God in the soul, not the result of human effort.) (b) It is extraordinary (i.e. indicating that the intellect operates in new way). (c) Moreover, It is passive (i.e. showing that the soul receives something from God, and is conscious of receiving it.) It can manifest itself in one of four degrees. The four degrees are the prayer of quiet, the prayer of union, ecstatic union, and transforming deifying union. Author and mystic Evelyn Underhill recognizes two additional phases to the mystical path. First comes the awakening, the stage in which one begins to have some consciousness of absolute or divine reality. Purgation and illumination are followed by a fourth stage which Underhill, borrowing the language of St. John of the Cross, calls the dark night of the soul. This stage, experienced by the few, is one of final and complete purification and is marked by confusion, helplessness, stagnation of the will, and a sense of the withdrawal of God's presence. This dark night of the soul is not, in Underhill's conception, the Divine Darkness of the pseudo-Dionysius and German Christian mysticism. It is the period of final "unselfing" and the surrender to the hidden purposes of the divine will. Her fifth and final stage is union with the object of love, the one Reality, God. Here the self has been permanently established on a transcendental level and liberated for a new purpose. Within theistic mysticism two broad tendencies can be identified. One is a tendency to understand God by asserting what He is not and the other by asserting what He is. The former leads to what is called apophatic theology and the latter to cataphatic theology. Cataphatic (imaging God, imagination or words) -- e.g., The Spiritual Exercises of St. Ignatius of Loyola, Julian of Norwich, Francis of Assisi. Many mystics, following the model of Paul's metaphor of the athlete, as well as the story of the disciples sleeping while Jesus prayed, disciplined their bodies through activities ranging from fasting and sleep-deprivation to more extreme forms, such as self-flagellation. Many mystics experience visions. But other sensory experiences are common as well. For instance, Richard Rolle heard heavenly music and felt a fire in his chest. Religious ecstasy is common for many mystics, such as Teresa of Avila, whose experience was immortalized in the sculpture Ecstasy of Saint Teresa by Bernini. One of the most familiar examples of mystical physical transformation is the appearance of stigmata on the body of the mystic, such as those received by Francis of Assisi and Padre Pio. But other transformations are possible, such as the odour of sanctity that accompanies the body of the deceased mystic, such as Teresa of Avila and Therese of Liseaux. Some mystics are said to have been able to perform miracles. But for many mystics, the miracles occurred to them. In the Middle Ages, one common form of mystical miracle, especially for women, was the Eucharistic miracle, such as being able to eat nothing other than the communion host. Catherine of Genoa was an example of someone who experienced this type of miracle. The influences of Greek thought are apparent in the earliest Christian mystics and their writings. Plato (428–348 BC) is considered the most important of ancient philosophers, and his philosophical system provides the basis of most later mystical forms. Plotinus (c. 205 – 270 AD) provided the non-Christian, neo-Platonic basis for much Christian, Jewish and Islamic mysticism. Justin Martyr (c. 105 – c. 165) used Greek philosophy as the stepping-stone to Christian theology. The mystical conclusions that some Greeks arrived at, pointed to Christ. He was Influenced by: Pythagoras, Plato, Aristotle as well as Stoicism. Origen (c. 185 – 254): On Principles, Against Celsus. Studied under Clement of Alexandria, and probably also Ammonius Saccus (Plotinus' teacher). He Christianized and theologized neo-Platonism. Gregory of Nyssa (c. 335 – after 394): Focused on the stages of spiritual growth, the need for constant progress, and the "divine darkness" as seen in the story of Moses. Augustine (354 – 430): De Trinitate, Confessions. Important source for much mediaeval mysticism. He brings Platonism and Christianity together. Influenced by: Plato and Plotinus. 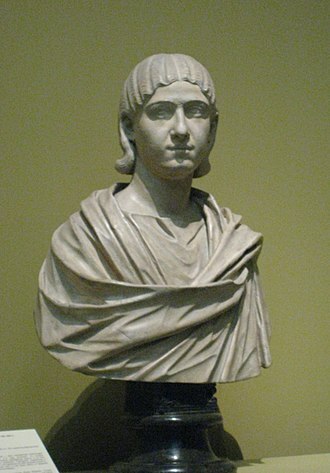 John Scotus Eriugena (c. 810 – c. 877): Periphyseon. Eriugena translated Pseudo-Dionysius from Greek into Latin. Influenced by: Plotinus, Augustine, Pseudo-Dionysius. Bernard of Clairvaux (1090 – 1153): Cistercian theologian, author of The Steps of Humility and Pride, On Loving God, and Sermons on the Song of Songs; strong blend of scripture and personal experience. Hildegard of Bingen (1098 – 1179): Benedictine abbess and reformist preacher, known for her visions, recorded in such works as Scivias (Know the Ways) and Liber Divinorum Operum (Book of Divine Works). 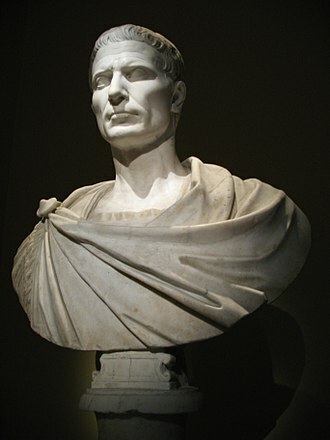 Influenced by: Pseudo-Dionysius, Gregory the Great, Rhabanus Maurus, John Scotus Eriugena. Hugh of Saint Victor (d.1141): The Mysteries of the Christian Faith, Noah's Mystical Ark, etc. Richard of Saint Victor (d.1173): The Twelve Patriarchs and The Mystical Ark (e.g. Benjamin Minor and Benjamin Major). Influenced Dante, Bonaventure, Cloud of Unknowing. Bonaventure (c.1217 - 1274): The Soul's Journey into God, The Triple Way, The Tree of Life and others. Influenced by: Pseudo-Dionysius, Augustine, Bernard, Victorines. Angela of Foligno (c.1248 - 1309): tertiary anchoress; focused on Christ's Passion; Memorial and Instructions. Thomas Aquinas (1225 – 1274): priest, Dominican friar and theologian. Hadewijch of Antwerp (13th century): visions, bridal mysticism, essence mysticism; writings are mostly letters and poems. Influenced John of Ruysbroeck. John of Ruysbroeck (1293 – 1381): Flemish, Augustinian; The Spiritual Espousals and many others. Similar themes as the Rhineland Mystics. Influenced by: Beguines, Cistercians. Influenced: Geert Groote and the Devotio Moderna. Anonymous - The Cloud of the Unknowing (c. 1375)—Intended by ascetic author as a means of instruction in the practice of mystic and contemplative prayer. Walter Hilton (c.1340 - 1396): The Ladder of Perfection (a.k.a., The Scale of Perfection) -- suggesting familiarity with the works of Pseudo-Dionysius (see above), the author provides an early English language seminal work for the beginner. Ignatius of Loyola (1491–1556): St. Ignatius had a number of mystical experiences in his life, the most significant was an experience of enlightenment by the river Cardoner, in which, he later stated, he learnt more in that one occasion than he did in the rest of his life. 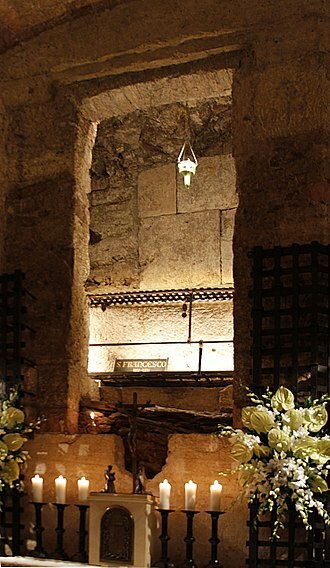 Another significant mystical experience was in 1537, at a chapel in La Storta, outside Rome, in which he saw God the Father place him with the Son, who was carrying the Cross. This was after he had spent a year praying to Mary for her to place him with her Son (Jesus), and was one of the reasons why he insisted that the group that followed his 'way of proceeding' be called the Society of Jesus. 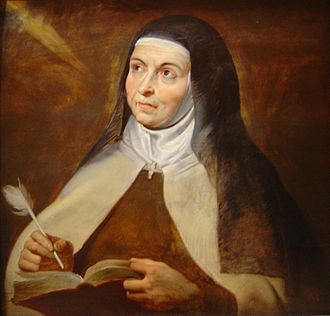 Teresa of Ávila (1515–1582): Two of her works, The Interior Castle and The Way of Perfection, were intended as instruction in (profoundly mystic) prayer based upon her experiences. Influenced by: Augustine. John of the Cross (Juan de Yepes) (1542–1591): Wrote three related instructional works, with Ascent of Mount Carmel as a systematic approach to mystic prayer; together with the Spiritual Canticle and the Dark Night of the Soul, these provided poetic and literary language for the Christian Mystical practice and experience. Influenced by and collaborated with Teresa of Ávila. Joseph of Cupertino (1603-1663): An Italian Franciscan friar who is said to have been prone to miraculous levitation and intense ecstatic visions that left him gaping. Jakob Böhme (1575-1624): German theosopher; author of The Way to Christ. Thomas Browne (1605-1682): English physician and philosopher, author of Religio Medici. Brother Lawrence (1614–1691): Author of The Practice of the Presence of God. Isaac Ambrose (1604-1664): Puritan, author of Looking Unto Jesus. Angelus Silesius (1624 – 1677): German Catholic priest, physician, and religious poet. George Fox (1624–1691): Founder of the Religious Society of Friends. Madame Jeanne Guyon (1648-1717): Visionary and Writer. William Law (1686–1761): English mystic interested in Jakob Böhme who wrote several mystical treatises. Emanuel Swedenborg (1688-1772): Influential and controversial Swedish writer and visionary. The Blessed Sister Mary of the Divine Heart was a nun from the Good Shepherd Sisters who reported several revelations from the Sacred Heart of Jesus. A strong believer in Christian meditation, Padre Pio of Pietrelcina stated: "Through the study of books one seeks God; by meditation one finds him". Domenico da Cese (1905-1978): Stigmatist Capuchin monk. Maria Valtorta (1898-1963): Visionary and writer. Mary of Saint Peter (1816–1848): Carmelite nun. 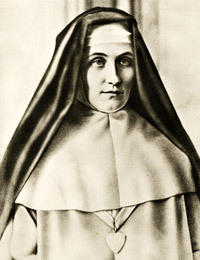 Marie Lataste (1822–1899): Visionary, nun and writer. Andrew Murray (1828-1917): Evangelical Missionary and Writer, Author of over 240 books. Marie Martha Chambon (1841–1907): Nun and visionary. Marie Julie Jahenny (1850–1941): Stigmatist. Rudolf Steiner (1861–1925): Founder of the Anthroposophical Society, Bio-dynamics, Waldorf Education, Threefold Social Order, Eurythmy, writer. Mary of the Divine Heart Droste zu Vischering (1863–1899): Sister of the Good Shepherd. Frank Laubach (1884–1970): Evangelical missionary, author of Letters by a Modern Mystic. 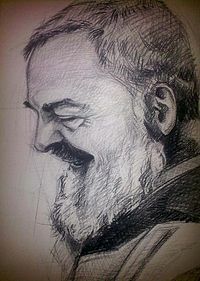 Padre Pio of Pietrelcina (1887–1968): Friar, priest, stigmatic. Sadhu Sundar Singh (1889–1929): Evangelical Indian missionary, ascetic. Maria Pierina de Micheli (1890–1945): Visionary. Thomas Raymond Kelly (1893–1941): Quaker. Carl Albrecht [de] (1902-1965): a German physician and phenomenological philosopher. His methodological groundbreaking research of the mystical consciousness effected a personal conversion also: the positivistic scientist and sceptic turned into a Christian mystic eventually. Alexandrina of Balazar (1904–1955): Writer. Dag Hammarskjöld (1905-1961): Swedish diplomat (Second Secretary General of the United Nations). His posthumously published spiritual diary "Vägmärken" (Markings) gave him the reputation of having been one of the few mystics in the political arena. Mary Faustina Kowalska (1905–1938): Polish nun and visionary. Eugenia Ravasio (1907–1990): Italian nun and visionary of God the Father. Simone Weil (1909-1943): French writer, political activist and ecstatic visionary. Flower A. Newhouse (1909-1994): American clairvoyant. Carmela Carabelli (1910–1978): Italian writer. Pierina Gilli (1911–1991): Italian visionary. A. W. Tozer (1897-1963): Christian and Missionary Alliance; author of The Pursuit of God. Thomas Merton (1915–1968): Trappist monk and writer. Watchman Nee (1903-1972): Visionary and Writer. Witness Lee (1905-1997): Local Churches Visionary and Writer, Author of over 400 books. Sister Lúcia (1907-2005): Portuguese participant in the 1917 Fátima apparitions, nun, and prophetess. Bernadette Roberts (1931–2017): Carmelite nun and writer, focusing on no-self states. Richard J. Foster (1942-): Quaker theologian; author of Celebration of Discipline and Prayer. James Goll (1952-): charismatic writer and prophet; author of Wasted on Jesus and The Seer. Mike Bickle (1955-): charismatic writer and pastor; author of Growing in the Prophetic and Growing in Prayer. John Boruff (1985-): Pentecostal blogger (WesleyGospel.com) and author of How to Experience God. ^ a b Parsons 2011, p. 3. ^ a b c d King 2002, p. 15. ^ a b c d McGinn 2006. ^ Parsons 2011, p. 4-5. ^ Trigg, Joseph W. (2012). Origen. The Early Church Fathers. Routledge. ISBN 9781134815258. Retrieved 2015-01-04. For Origen, [...] Paul was the apostle of spiritual transformation - the transformation of human apprehension of God from the oldness of the letter to the newness of the Spirit and the transformation of believers into the image of Christ. ^ Bynum, Caroline Walker (1988). Holy feast and holy fast: the religious significance of food to medieval women. U of California Press. pp. 64, 253. ISBN 978-0-520-06329-7. ^ John Barton, "The Old Testament", in The Study of Spirituality, ed. Cheslyn Jones, et al., Oxford University Press, 1986. pp. 47-57. ^ Julian Huxley in 'Religion without Revelation (1967). ^ CORNUZ, Michel: Le protestantisme et la mystique. Genève 2003. ^ Literally, "God became man so that man might become god." Here, man is understood as human and no debate exists within the Church concerning a contrary interpretation. ^ McBrian, Richard P., Sheldrake, Philip, eds., The HarperCollins Encyclopedia of Catholicism: Mysticism, Harper Collins, San Francisco, 1995, p. 901. ^ "Bruce B. Janz, Who's Who in the History of Western Mysticism". Archived from the original on 2011-07-27. Retrieved 2010-11-30. ^ "St. Ignatius". Archived from the original on 2011-02-11. Retrieved 2011-04-18. ^ Pastrovicchi, Angelo (1980). Saint Joseph Copertino. TAN Books and Publishers. ISBN 0-89555-135-7. Ryan Stark, "Some Aspects of Christian Mystical Rhetoric, Philosophy, and Poetry," Philosophy & Rhetoric 41 (2008): 260-77. Evelyn Underhill: The Spiritual Life: Four Broadcast Talks, Hodder & Stoughton, 1937, x, 141 p.
Wikisource has the text of the 1913 Catholic Encyclopedia article Mysticism. Hesychasm is a mystical tradition of contemplative prayer in the Eastern Orthodox Church. Gregory Palamas, on which see Palamism, the origin of the term hesychasmos, and of the related terms hesychastes and hesychazo, is not entirely certain. According to the entries in Lampes A Patristic Greek Lexicon, the basic terms hesychia and hesychazo appear as early as the 4th century in such fathers as St John Chrysostom and the Cappadocians. The terms appear in the period in Evagrius Pontikos, who although he is writing in Egypt is out of the circle of the Cappadocians. In Egypt, the more often used are anchoretism. The term Hesychast was used in the 6th century in Palestine in the Lives of Cyril of Scythopolis, here, it should be noted that several of the saints about whom Cyril was writing, especially Euthymios and Savas, were in fact from Cappadocia. The laws of the Emperor Justinian I treat Hesychast and anchorite as synonyms and it is not known where either St John of Sinai or St Hesychios were born, nor where they received their monastic formation. Hesychasm itself is not recorded in Lampes Lexicon, which indicates that it is a usage, and the term Jesus Prayer is not found in any of the Fathers of the Church. Saint John Cassian presents as the used in Egypt for repetitive prayer, not the Jesus Prayer. Most likely, the rise of the term Hesychasm reflects the coming to the fore of this practice as something concrete, Hesychastic practice involves acquiring an inner focus and blocking of the physical senses. In this, hesychasm shows its roots in Evagrius Ponticus and even in the Greek tradition of going back to Plato. This is the same prayer used by the Christian Hesychasts and is the reason that they were mocked by their opponents as navel gazers. This bodily position and the practice of rhythmically breathing while invoking a divine name seems to be common to both Jewish Merkabah mysticism and Christian Hesychasm, thus the practice may have origins in the ascetical practices of the biblical prophets. Daniel Boyarin notes that Pauls own account of experience would therefore be the earliest first person account of the mystical vision of a Merkabah adept.